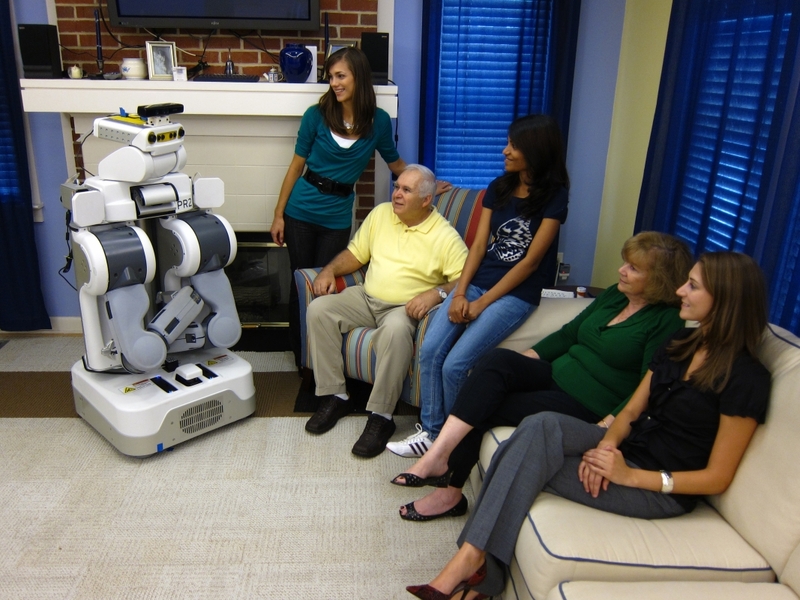 GATSBII (Georgia Tech Service Bot with Interactive Intelligence) with research participants Mr. & Mrs. Bolet and graduate student researchers (L-R: Jenay Beer, Akanksha Prakash, and Cory Smarr) in the GT Aware Home. Research is a primary focus at the School of Psychology. Both basic and applied research is conducted in many laboratories. Much of our basic research is dedicated to studying fundamental psychological processes, such as memory, attention, language comprehension, motivation, decision making, and many other topics. Applied research topics include aspects of human interaction with technology, instructional design, psychological factors in occupational settings, and other topics. Several research studies employ state-of-the-art methods, including eye tracking and functional magnetic resonance imaging (Center for Advanced Brain Imaging). 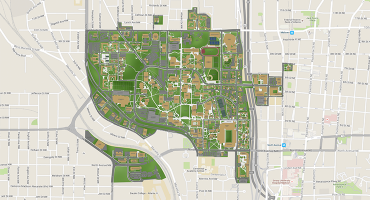 The school features five research program areas, including Cognition and Brain Science, Cognitive Aging, Engineering Psychology, Industrial/Organizational Psychology, and Quantitative Psychology. Over 20 laboratories conduct research at the School of Psychology. For more information about current research projects and the individuals who are involved in each laboratory's research, visit the laboratories page. Many research studies depend on the help of volunteer research participants. Both students and non-students are welcome to participate. The School of Psychology has collaborative interactions internally, within the College of Science, with other organizations on campus, and also with external organizations and universities.